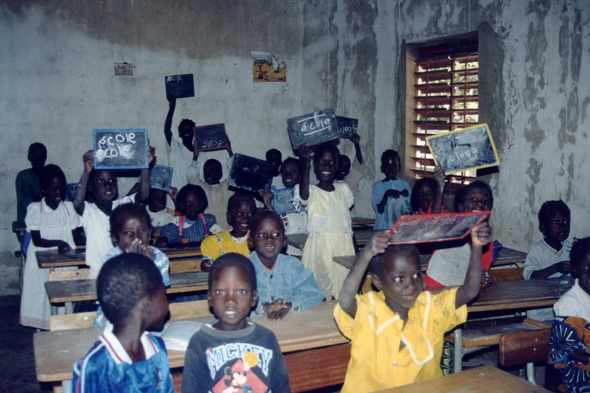 Senegal devotes a third of its budget to education. The objective fixed by Senghor which wished to make teaching primary education universal, free and obligatory is far from being achieved. The level of schooling amounts to 54% in the primary education, 16% in the secondary and 3% in the superior.